Bay Area Veterinary Hospital welcomes you! Looking for a Holistic Approach to your pets needs? Read no further and call us right away! The staff and I would like to thank you for considering Bay Area Veterinary Hospital for your holistic veterinary care needs. Through our commitment to client education and prevention, we look forward to doing everything possible to make your relationship with your pet the happiest, healthiest and longest one possible. Any time you have questions, concerns, or would just like some information, please call us or stop by our office and we will be happy to help you. 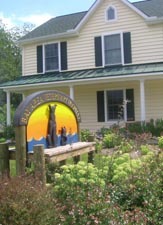 If you live in Chester or the surrounding area in MD, then you have picked the perfect site to find a holistic veterinarian. Dr. Cindy Dahle and Dr. Becky Ewing enjoy treating your companions in as natural and holistic way as possible. Your pet's health and well being is very important to us and we will take every step to give your pet the best possible care. Bay Area Veterinary Hospital is a full service animal hospital and will take both wellness cases as well as more urgent medical, surgical, and dental issues. Our doctors are experienced in all types of conditions and treatments. Beyond first rate pet care, we make our clinic comfortable and strive for a very calm environment so your pet can relax as soon as they walk through our door! Ask about our FEAR FREE approach to pet care. We have a number of resources for you to learn about how to take better care of your pets. Browse around and look at our articles and pet videos. The best veterinary care for animals is ongoing healthy nutrition and problem prevention. If you want to ask a question call 410-643-7888 or email us and we'll promptly get back to you. Our Chester veterinary office is very easy to get to, and you can find directions on our Contact Us page. Check out our Pet Library for reliable information unlike many other resources available online. 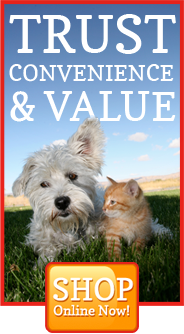 At Bay Area Veterinary Hospital, we treat your pets like the valued family members they are. Please browse our website to learn more about our animal clinic and the services we provide for companion animals in Chester and the surrounding areas. Read information in our Pet Library, view videos, take a virtual tour of our veterinary hospital, read testimonials, and find details about upcoming events. Please call our office today at (410)643-7888 for all your pet health care needs.